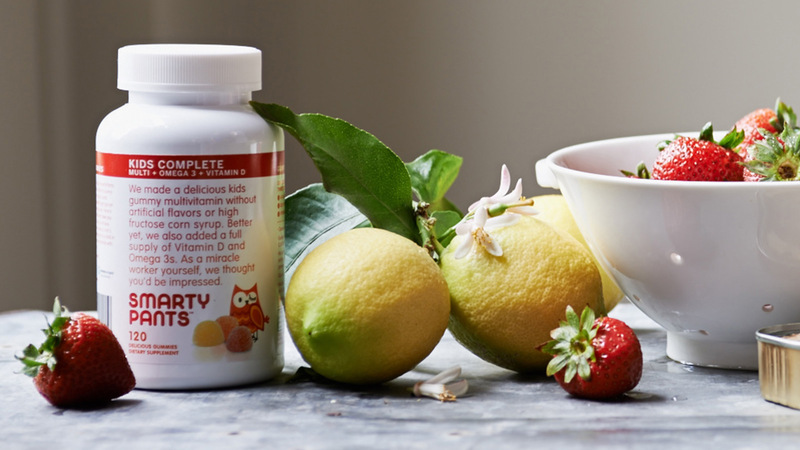 SmartyPants is a developer, marketer, and distributor of premium, GMO-free gummy vitamins and supplements for kids and adults alike. Launched in 2010 by Co-CEOs Courtney Nichols Gould and Gordon Gould, SmartyPants Vitamins provides consumers with “all in one” nutritional supplements that combine the highest quality, sustainably sourced (eco-friendly), bio-available nutrients with great taste at a compelling value proposition. SmartyPants’ products have no high fructose corn syrup, artificial colors, sweeteners, flavors or preservatives. SmartyPants’ core products include Kids Complete, Kids Fiber, Adult Complete, Adult Fiber and PreNatal vitamins. The company’s products are sold online and have brick-and-mortar retail distribution in approximately 15,000 doors across the natural, grocery, and specialty channels.